We know that staying up or working all night is not good for you, especially over long periods of time. Now, researchers have found that night shift work can even affect the makeup of the proteins in our blood. Could robots be the solution to this health risk? 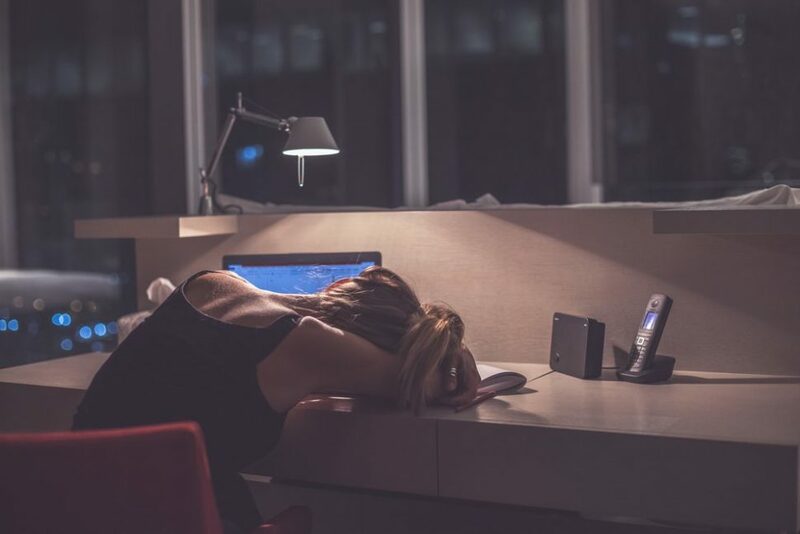 Pulling night work shifts can negatively impact the day patterns of dozens of proteins involved in immune function, blood sugar regulation, and metabolism. Although you may not have heard of it, the proteome for proteins is what the genome is for genes. The protein makeup of a biological system like fluids and organs or even a single cell is constantly changing based on the time of day and other biological conditions. The proteome is a central aspect of these changes. The study of the proteome, proteomics, allows for a better understanding of the molecular mechanisms involved in our major physiological functions. A new study focused on a set of proteins present in the blood and investigated how sleep and meal timing could disrupt their functions. Night Shift Workers (and Night Owls) Beware! Staying awake and eating at night can alter key proteins in the human blood and increases the likelihood of some health issues, new research from the University of Colorado Boulder found. This is the first time that a study has looked at how protein levels in the blood, aka plasma proteome, are affected by atypical sleeping and eating schedules, particularly at night. For the study, researchers worked with six healthy male subjects within a simulated night shift environment, including meals, sleeping, activity, and light exposure hours, for six days. Then, after blood analysis, researchers found that the expression and timing of 129 proteins were affected. Among these proteins, 30 were found to vary according to the time of day, regardless of eating and sleeping time. “This tells us that when we experience things like jet lag or a couple of nights of shift work, we very rapidly alter our normal physiology in a way that if sustained can be detrimental to our health,” said Kenneth Wright, senior author of the study. Night shifts pose an alarming range of clinical issues: sleep and metabolic disorders lead to higher risks of diabetes, obesity, cancer, cardiovascular diseases, and psychological diseases. When we know that a significant portion of the global workforce (20%) is made up of night shift workers, the clinical picture associated with all-nighters becomes even more grim. In the U.S. alone, about 15 million Americans work night shifts either every night or on a weekly basis. Studies like the present one enable the development of treatment measures against the health risks of working nights, such as new drugs and effective administration time. Our biological clock that regulates a lot of what we do, especially eating and sleeping, is synched to the Sun and light cycles. And, as far as we know, it doesn’t come with a snooze button. One fundamental way to address the problems of going against the circadian clock is to recruit machines. Night shift automation solutions can keep humans at bay from all-nighter hazards while improving productivity. Nagoya University Hospital in Japan has added four robots built by Toyota to its night staff. The hospital will be testing the bots for a year in tasks like delivering medicines and test samples between floors. Another business from Japan, a construction company (Shimizu Corp.) announced last month it will be deploying a squad of robots to carry out some night shift tasks at its construction sites. Do you pull all-nighters regularly as part of your job?